Layering is the tried and tested method for comfortable outdoors by Mountaineers for long time. The beauty of this simple concept is that it allows you to make quick adjustments based on your activity level and changes in the weather. This Layer is next to your skin and helps in regulate your body temperature by moving perspiration away from your body. Keeping dry is important for maintaining a cool body temperature in the summer and avoiding hypothermia in the winter. If you have ever used a cotton T under your rain cover while hiking or trekking, you will get wet not from outside but from inside. Cotton is not the good material for this clothing layer instead synthetic fabrics like MTS, Capilene, PowerDry and CoolMax polyester or Silk. The insulating layer helps you retain heat by trapping air close to your body. 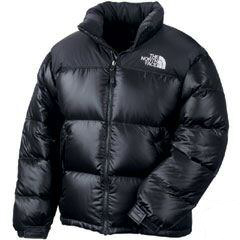 Fleece vests, jackets and tights are classic examples of insulation ideal for outdoor activities and for more extreme conditions feather jackets are most appropriate. Down has a very good warmth:weight ratio, and can be packed down (squeezed) to take very little room but are very costly. They not only trap air but are also made with moisture transferring fibers to help keep you dry. The outermost clothes are called the shell layer, they block wind or water and have good mechanical strength. Ideally the shell layer clothes are breathable i.e they lets moisture through to the outside while not letting wind and water pass through from the outside to the inside. Gore Tex is extensively used for outer layer and it is Waterproof and breathable made of the very strong fabrics. It is founded by W. L. Gore & Associates and they are best known for their this product which is used in various world leading brands.